Check out this super rad new Stingy Jack colorway, which Brandt Peters will be releasing exclusively at Designer Con 2017 this weekend in Pasadena, CA! The Ghost of Stingy Jack Edition is hand painted by Brandt, limited to just 5 pieces, and is cast in clear soft Japanese vinyl. 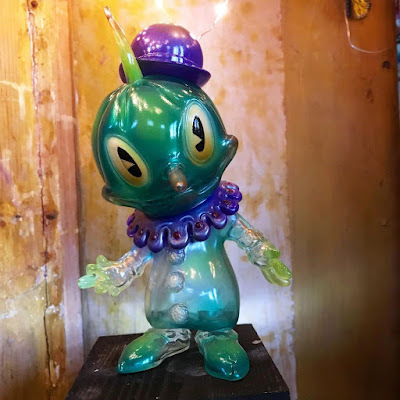 Collectors can pick up this new version of Stingy at the Circus Posterus DCon booth #519.